Kappabashi is a well- known “kitchen town” where you can buy mostly kitchen tools. This special confectionary is mainly a wholesaling store, but private persons can also buy here. This shop opened in 1928. 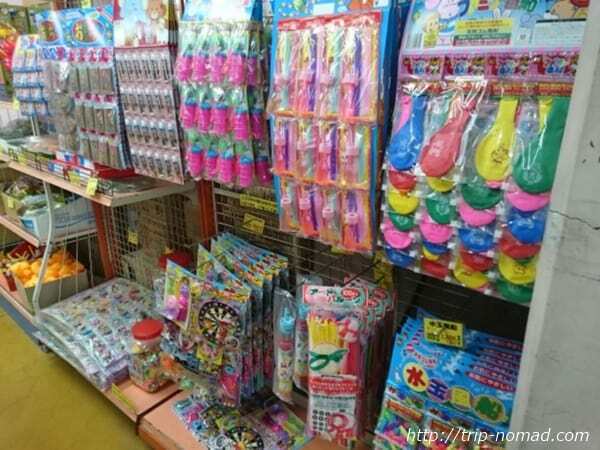 Nowadays you can buy also small toys, ice cream, ingredients for Japanese sweets, drinks etc. How about trying a Japanese snack here? Let’s enjoy nostalgic interior of the shop and snacks! 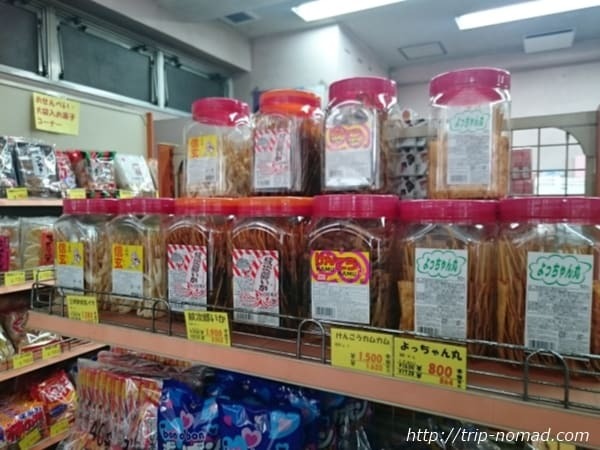 Kawahara shop is a special shop for snacks. By this we mean Japanese snacks. Traditional confection which made from wheat, Japanese millet, foxtail millet, beans and rice which are mixed with brown sugar or syrup. 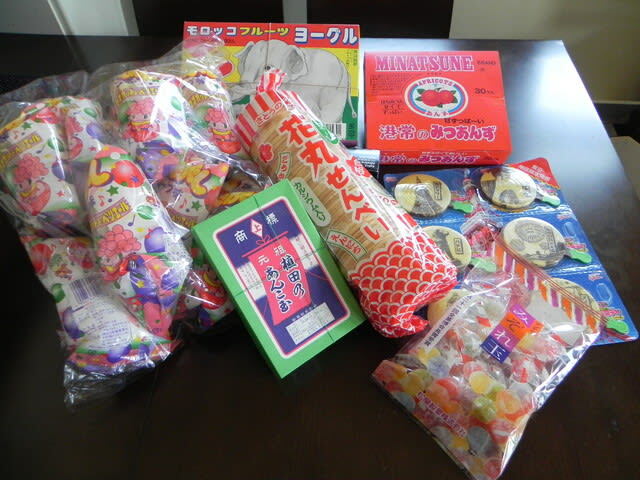 Most of Japanese ate such kinds of snacks when they were young and have a nostalgic feeling about these snacks. 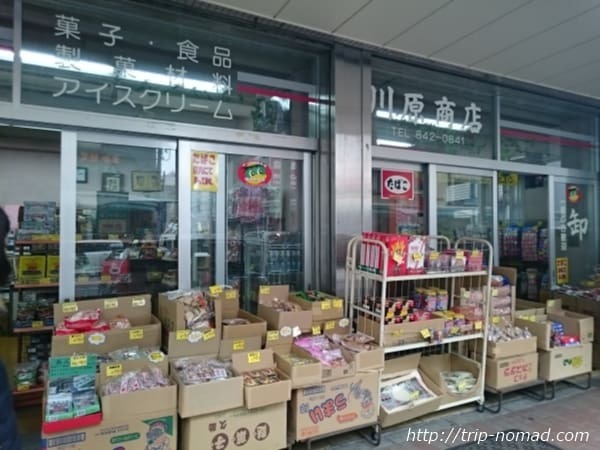 At Kawarasa shop, they sell most of the snacks in large quantities because they are a wholesaler. You can buy a package and share them among your family or friends back home! Inside the shop there is a nostalgic and historic Japanese atmosphere. You see old posters on the wall, Japanese snacks with cute packaging. Popular sweets “Ueda no Anko Dama”(sweets An – Sweet bean paste coated with Kinako- roasted soybean flour) for 661 yen. These sell well since 1929. You feel nostalgic old Japan and culture in this shop. Toys just like you feel at festival! balls etc. These you can also buy at a Japanese festival. Colorful and cute. Are great as a souvenir as well! When you think about confection, most of them are sweet. But they also have snacks suit for beer. For example Yotchan Ika (Dried squid snack) of Yotchan foods. Most Japanese love it. The packages are also cute. Let’s try!